Fun food fast at Foozi; lasagna and more at I Luv Lasagna. Foozi has been around since 1999, but you might not have known it. "We have a low profile, because there are a lot of people right here," says owner John Crimmins. Foozi, a breakfast and lunch cafe, is located on the first floor of Clark Tower. (It was formerly in White Station Tower.) "It's just been in the last year that I've started to reach farther out," Crimmins says. 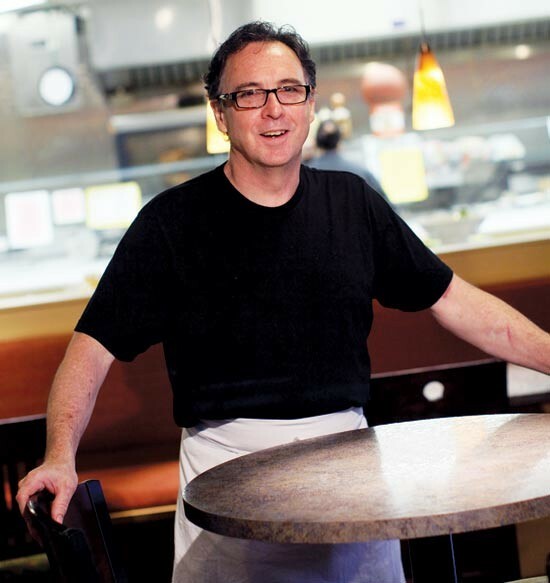 Crimmins opened Foozi, because he was tired of working nights and weekends — the bread and butter of many restaurants. "I wanted to figure out a way to remain in the restaurant business but lock the door and go home at 5," he says. Now that he's located in an office tower, a breakfast and lunch service Monday through Friday is the perfect business model. Crimmins says 95 percent of his customers walk from nearby offices or just take the elevator downstairs. The Foozi motto is "fun food fast." "Italian-influenced sandwiches, pasta, pizzas, and salads," says Crimmins, describing his idea of fun food. "We do a sandwich special every day. 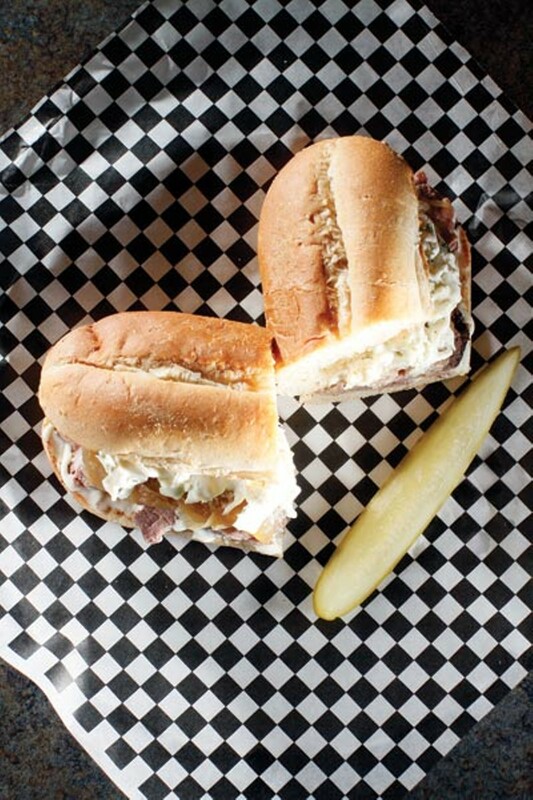 Today is our roast pork sandwich with roast pork loin sliced and served on a toasted wheat roll with herbed mayonnaise, caramelized onions, and what I say is 'real good slaw,' because I don't like sweet coleslaw and we don't put sugar in it." Other menu items include homemade soups (available in bread bowls), 9-inch single-serve pizzas, hot plate lunches, paninis, wraps, and freshly baked cookies and dessert bars. Crimmins also offers a "Skinny Lunch" and "Skinny Breakfast" with low-fat options. Foozi also has an online ordering service to make lunch even easier for busy patrons. "There are two currencies at lunch time. There is money, of course, and time is the other element," he says. 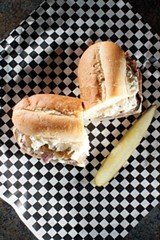 As for prices, Foozi is more than reasonable, with $6.95 plate lunches and sandwiches in the $6 range. "Most of my life was spent in high-rent restaurants," Crimmins says, "so the chicken Alfredo pasta we do here for $5.95 on Tuesdays for lunch is probably the equivalent of what we would have put on a fancy china plate in Chicago and sold for $14 10 or 15 years ago because it had a waiter and a tablecloth. But quite honestly, there's very little difference in the chicken, the noodle, and the sauce." Foozi is open Monday through Friday from 7:30 a.m. to 3:30 p.m. If you're like me, the name I Luv Lasagna makes you think of the Saturday Night Live parody of Snooki from MTV's Jersey Shore. ("You can call me Garfield now, because I'm bright orange and I love lasagna!") But the Memphis restaurant behind the name is no joke. Owners Jason Goins and Undre Gaston have found a successful and unconventional niche. "You have so many restaurants opening, especially wing shops and fish places," Goins says. "We wanted to do something a little bit different." And indeed they have. The restaurant menu is a mix of made-from-scratch lasagna and New Orleans-style fare. A column on the menu listing three types of signature lasagna is next to Southern and Creole favorites such as gumbo, hot wings, catfish, tamales, and a seafood boil with turkey necks, dirty rice, corn on the cob, potatoes, crawfish, shrimp, and Cajun sausage. The most interesting menu offering is the lasagna burger, which is exactly what it sounds like. "Lasagna between two pieces of bread, and it sells like crazy," Goins says. "It's a simple idea, but people have definitely taken to it. If you're familiar with the Sloppy Joe, it closely resembles that with a rich Italian flavor to it." The restaurant also serve po'boys, a Philly cheese steak sandwich, a pork chop sandwich, salads, and fried turkeys. I Luv Lasagna is open Monday through Thursday from 11 a.m. to 10 p.m., Friday and Saturday from 11 a.m. to 11 p.m., and Sunday from noon to 7 p.m. The average entrée runs from $6 to $7.